It’s time to meet our Volunteers. I am sorry to bore you with history but I feel it most relevant as you can’t see where you’re going unless you know where you have been. The NHS has always been in crisis but for me, the headlines in the 1990s with the waits at A&E started my interest. I have been a consistent reader of Private Eye. You may know this magazine for its satirical cartoons, but the last few pages deal with very serious issues. During the 2000s it covered bad care in Care Homes and lack of care in some of our major hospitals. People have always told me stories of bad care in hospitals but apart from sympathising with them, that was all I could do. Five years ago at a Clinical Commissioning Group meeting, I met the then chairman of Croydon Healthwatch who told me how I or any member of the public could get their opinions heard. This was my chance to put some of these things right. It has been a pleasure to take part in the last five years in bringing to public notice and to those who manage our health system things that the public know but somehow escape their notice. The challenges are not over, just this month two care homes in Croydon have been closed down and changes in attitudes to dementia are still major issues which we have to tackle in conjunction with other organisations. I thoroughly enjoy doing what we call Outreach, that is, going and talking to people and finding out if they have any problems. We correlate all these experiences and then bring them to those who can improve our services. 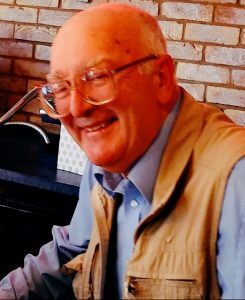 David joined Healthwatch Croydon as a volunteer in 2013, he has always been a resident of Croydon and is passionate about helping the community at large. Learn more about why David volunteers with Healthwatch Croydon via his video account.